Cardinal Dolan on the Time 100? Absolutely! I seem to be a few days behind on this one, than again I’ve only been blogging for 24 hours. We as Catholics need to take action on this one. Time Magazine has posted an internet poll on whether Cardinal Timothy Dolan should be included in their ‘2012 Time 100’. As of this post I see that only 58% of voters seem to think that His Eminence belongs on the list. 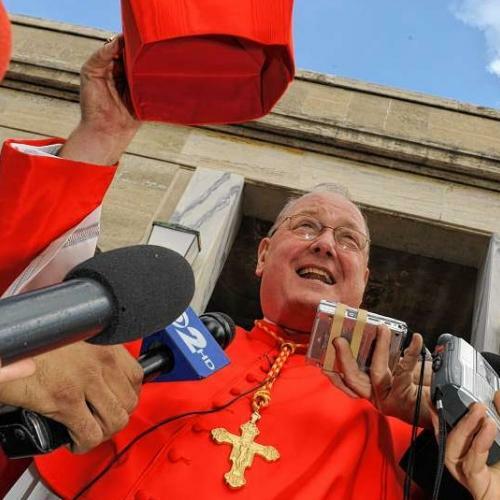 Cardinal Dolan has helped to unite the United States bishops against President Obama’s HHS contraception mandate in a way that is unseen in generations. With his help we have once again become The Church Militant and with his help we will once again succeed in becoming The Church Triumphant. Voting ends Friday April 6th. You can vote HERE. The man most likely to give Barack Obama fits on the way to Election Day is the newly birettaed Archbishop of New York. Affable, jolly and theatrical, Dolan deploys these genial weapons as the Catholic Church’s point man in the battle against the Obama Administration’s policies on contraception and abortion. The President barely won the Catholic vote in 2008; without an accommodation, Dolan could turn away enough voters to tilt a close election — all with a smile. As they say in Chicago: Vote early and vote often on this one. « Cecile Richards on the Time 100? I’ll Pass.